I hope you feel, as I do, that cultivating growth is exciting, optimistic, and positive. When I work with owners to cultivate relationships for growth we get enthusiastic about creating ideal conditions that foster growth with their buyers. The point is that cultivating buyers should be joyful and exciting, even as it is work in the sense that you expend effort, energy, time and some resources. You’re looking at the flowering of a beautiful relationship. The clients and customers are eager to compensate you for the value you’re providing them. As I write in Tinker, true growth is sustainable business growth that generates owner wealth and well being. Smart business owners know they are never finished growing. It’s also a mindset and a behavior set, something that you do every day, every week, every month and every year. That’s what cultivating for growth does. You can begin cultivating for growth the moment you’re finished reading this list of cultivation tips! Unlike seasonal plants, the season for cultivating buyers is all year round. Start today, harvest soon, and for the foreseeable future. 3. Combination of 1 and 2. Tip #2: Improve and innovate your current offerings. In the course of cultivating your relationships with your buyers (regulars, enthusiastic fans and best buyers), be sure to ask them what else they would like to buy from you. Make those new options available by following the model of master gardeners. Often one plant has a strong root system but an undesirable flower or fruit. The gardener grafts a preferred flower or fruit plant onto the strong root system, thus improving the chances of getting the flowers or fruits they want. Your business can do much the same thing. Once you understand what else your buyers would like from your company, build those new offerings on the foundation of your current offerings. Tip #3: Tend your relationships with timely care. Plants thrive with timely applications of just the right attention. Your Cultivate and Nurture plan is your guide to applying the right amount of attention in a timely way. Download the C&N plan now and fill it in before you go on to another task. Post it where you’ll see it, or write the C&N tasks into your calendar. Implement the plan no matter what. 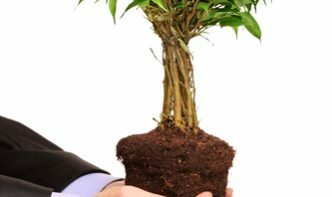 Just like the gardener does timely cultivation, no matter what, and enjoys the fruits and flowers later on, so will your business enjoy the fruits and flowers –revenue—in the months to come. I’ve written many times before, and continue to say this, that no one ever HAS the time. Smart owners who want to generate true growth MAKE the time. They make revenue growth their #1 priority. Everything else gets scheduled around it, eliminated, or delegated. Imagine a buyer who really is happy being a client or customer of your company. Now imagine their reaction if you were to say to them “I don’t have time to take care of you now.” MAKE the time to cultivate for growth. If you’re “thinking it over” I know from years of experience that means one of three things: 1) you’re not running your business, your business is running you; 2) you don’t trust your judgement, so making no decision saves you from making a mistake; or 3) you’ve fallen victim to magical thinking, that somehow revenue growth will appear, without you having to work for it. The wonderful news is that even business owners who feel like they have a black thumb can change their mindset and do what it takes to actively and effectively cultivate for growth. Each of the tips here are doable. This requires WILL, not any hard-to-find talent. Think of the packet of seeds or the little plastic tag that comes with the plants you buy at the garden center. You read them, follow directions reasonably well, and at the right time, you have your flower, fruit or vegetable. Follow Tips 1, 2, and 3 and pretty soon, you will have your very own revenue growth. If you’re not sure you can get past the excuses you tell yourself, or if you never want to DIY, I can help. The first step—like choosing a plot for a plant or a garden—is to schedule a Listening Call. Do that by email or by phone 703-790-1424—and we’ll begin a conversation about cultivating for revenue growth.